Hyundai Motor Co. Is the automobile division of the largest South Korean multi-profile concern Hyundai Corporation (Hyundai Corporation). For many years this company was called the "Asian Tiger", with it identifying the "Great leap" of the Republic of Korea in the economy. Its main partner was the Japanese group Mitsubishi (look: Mitsubishi truck PDF Manuals), which gave the company licenses to manufacture most of its cars. At the same time, it received first 10.3%, and then - 15% stake in Hyundai. At the origins of Hyundai there is an auto repair shop, which since 1940 was held by Chung Ju-Yung. Subsequently, he became the honorary chairman of the concern. In 1947, Chung Yu-yon opened the engineering firm Hyundai, which in the 1960s became the largest construction company in the country. Its automobile branch Hyundai Motor was established on December 29, 1967 and soon began assembling British cars Ford. By signing an agreement with Mitsubishi, since October 1974, the new Pony car was produced at the new Hyundai plant in Seoul. After 2 years, the first pickups appeared on their base. At the second enterprise since 1978, they began to collect trucks and small buses. A few years later, Hyundai developed a program of light and medium-sized cars with a carrying capacity of 1-7 tons, based on the Japanese cars L300, Canter and Fighter. A strong impetus to the development of freight production gave the commissioning in 1984 of a new plant in Ulsan. 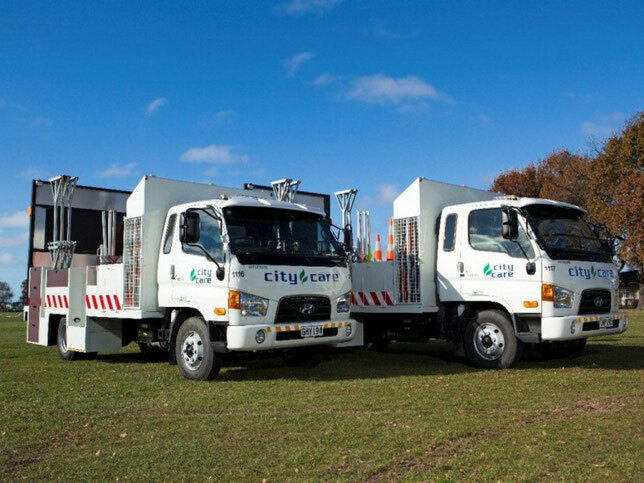 In 1987, there began production of 1 tonne vans and pick-up trucks Porter and trucks Mighty with a payload of 2.5-3.5 tons for the domestic market. In 1993, light wagons "H100" with a capacity of 5.7 m were introduced in Western Europe and pickup trucks, which were modernized Japanese cars Mitsubishi L300, and in Korea were offered as Porter. They were equipped with 4-cylinder petrol or diesel engines (2351 and 2476 cm3, 80-122 hp), 5-speed gearbox, power steering, front disc brakes and an independent torsion suspension. In different versions, their carrying capacity was 1-1.8 tons, and the total weight - 2.5-3.4 tons. The "N100" chassis was equipped with a MaxiVan van (10.4 m3) and N150 pickups. Export versions of the "Mighty" series were cars "H250" and "H350" with diesel engines with a capacity of 100-115 horsepower. Since 1995, for export, the variant "N600" with a total mass of 6-10 tons was offered, the 3.3-liter diesel engine of which was first turbo-charged and developed 130 horsepower. 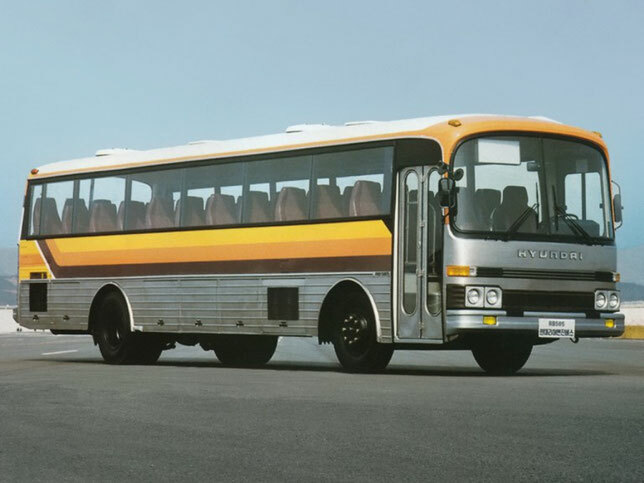 In 1997, a copy of the Japanese universal with the increased capacity of the Mitsubishi Space Gear (Space Gear) was the Korean version of the "H1 Starex" (Starex), which in turn served as the basis for the "H200" wagons with a capacity of 4, b-5.7 m3 and full weight of 2 , 7-3.4 tons, complete with automatic transmission, ABS and airbags. In 2000, the "H200" was presented in the form of a pickup truck with a carrying capacity of 1-1.4 tons with a 2.5-liter 99-strong diesel engine and a kind of front lining. Since 1998, a new family consisting of the base cars "HD65" and "HD72" with a total mass of 6.5-7.2 tons is being produced. To expand the production of these cars allowed the commissioning of another plant in Vanju near Seoul with an area of 600 thousand m2. 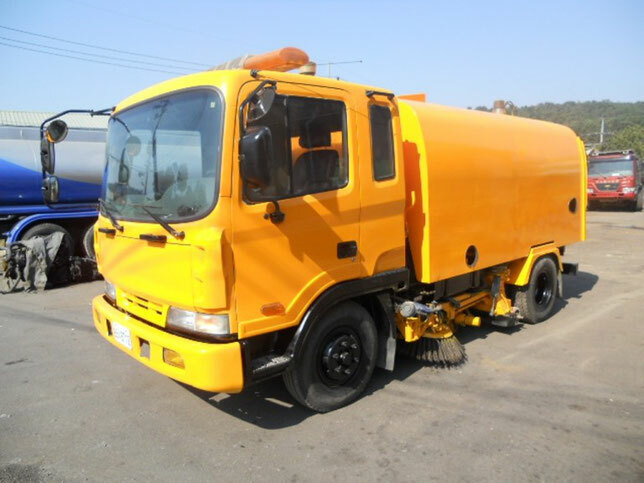 For South Korea and the countries of the South-Eastern region, from the mid-1980s, a range of trucks and truck tractors was produced, almost identical to the Japanese Mitsubishi Great and The Great. In the early 90's, it consisted of 10 basic trucks) of 2, 3 and 4-axle versions with a gross mass of 10.8-38 tons with an extended 3-seat tilting cab above the engine. In the domestic market, they have a designation corresponding to their rounded carrying capacity. So on-board cars carry indexes from "5 ton" to "19,5 ton". Their export options were labeled from "H500" to "H1950" respectively. They were used naturally aspirated inline 6-cylinder diesel engines or V8 engines with direct injection (7545-16031 cm3, 170-340 hp), a mechanical 5-speed gearbox, hypoid main gear. Truck tractors "39 ton" (4 × 2), "54 ton" and "60 ton" (6 × 4) for road trains with full mass indicated in their marking were equipped with V8 diesels (16031 and 17787 cm3, 320-355 hp. S.) And a 10-speed gearbox. At export they had indices "Н391ТА", "Н541ТА" and "Н601ТА". 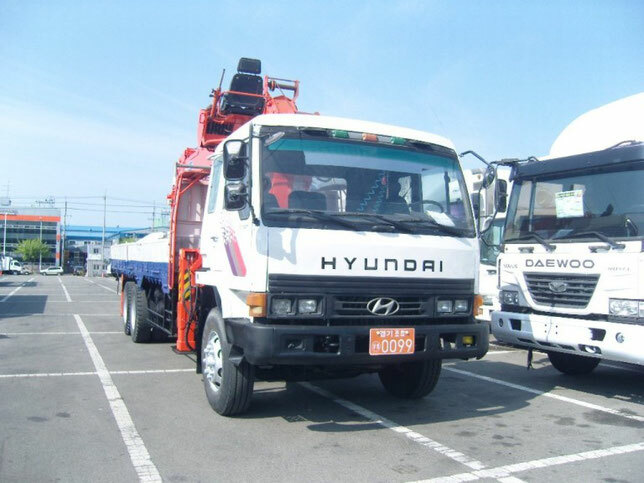 Since 1998, the production of the new generation of heavy vehicles "Hyundai", unified with the Japanese range "Super Great", has begun in Vanju. It consists of 15 base cars (models from "HD120" to "HD900") with wheel formulas 4 × 2,6 × 4 and 8 × 4 with a gross weight from 12,4 to 44,7 tons. They are equipped with a new in-line 6-cylinder diesel engine (11149 cm3, 225 hp, turbo-charged - 340 hp), as well as the previous 16-liter V8 engine with a turbocharger and intercooling capacity of 410 hp. 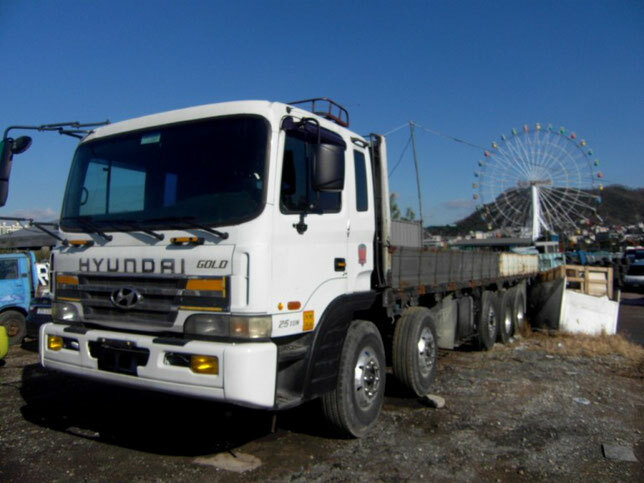 In 1997, Hyundai established its subsidiary Bering in the United States, which produces three series of trucks with a total mass of 5.5-43.1 tons for the American market. 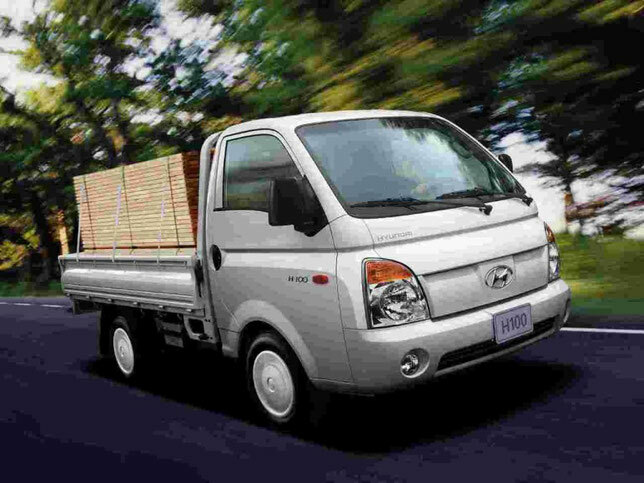 Having successfully overcome the economic crisis in Korea, in October 1998, for 5.6 billion US dollars, "Hyundai" acquired the car company Kia (look: Kia truck PDF Manuals) and its own company "Asia". 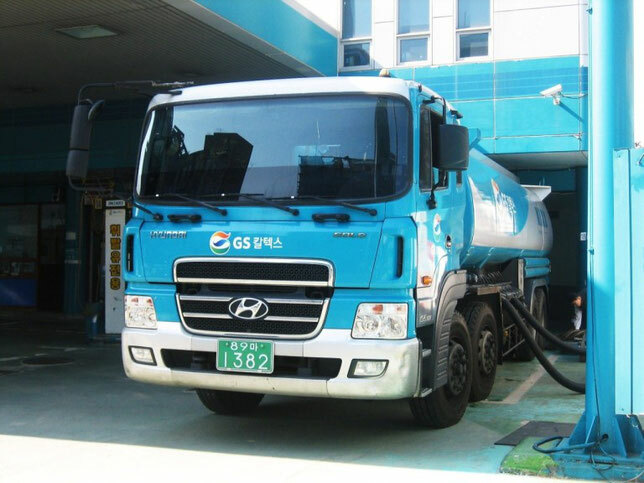 In the late 1990s, Hyundai took a leading position in South Korea, producing up to 250,000 different trucks annually, including about 20,000 heavy vehicles.